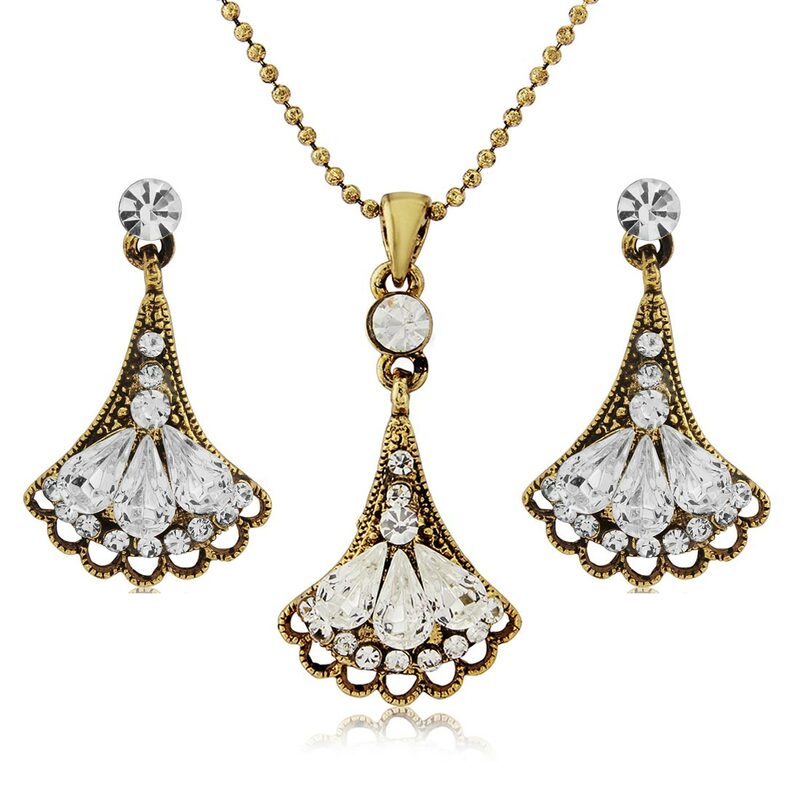 Fans of glamorous 1920s jewels will fall in love with our stunning gold Art Deco fan pendant and earrings jewellery set. 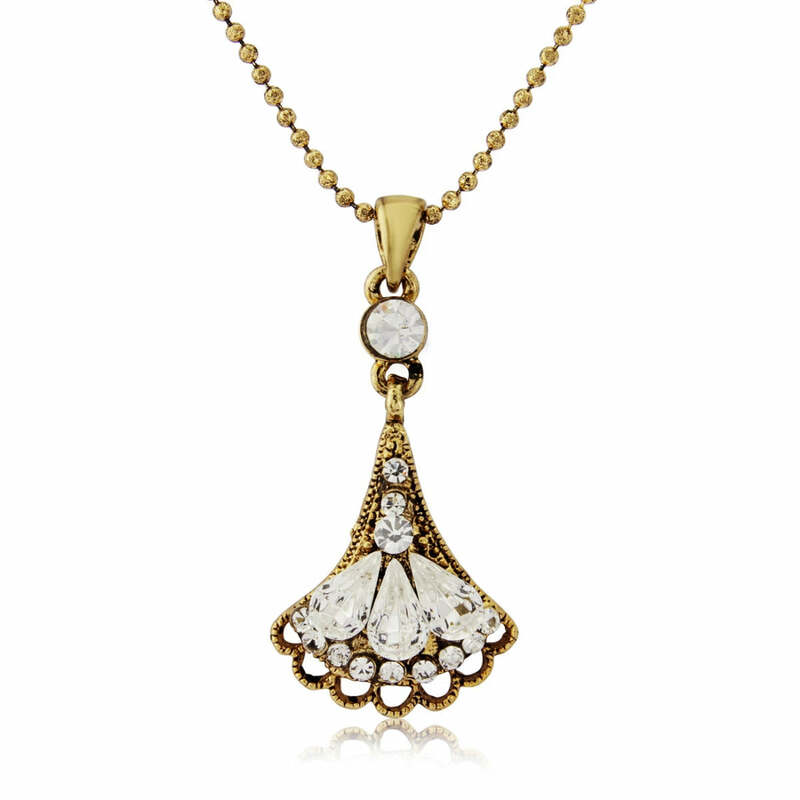 Embracing the sophistication of the late 1920s and 1930s, this Art Deco style jewellery set which will leave you swooning. 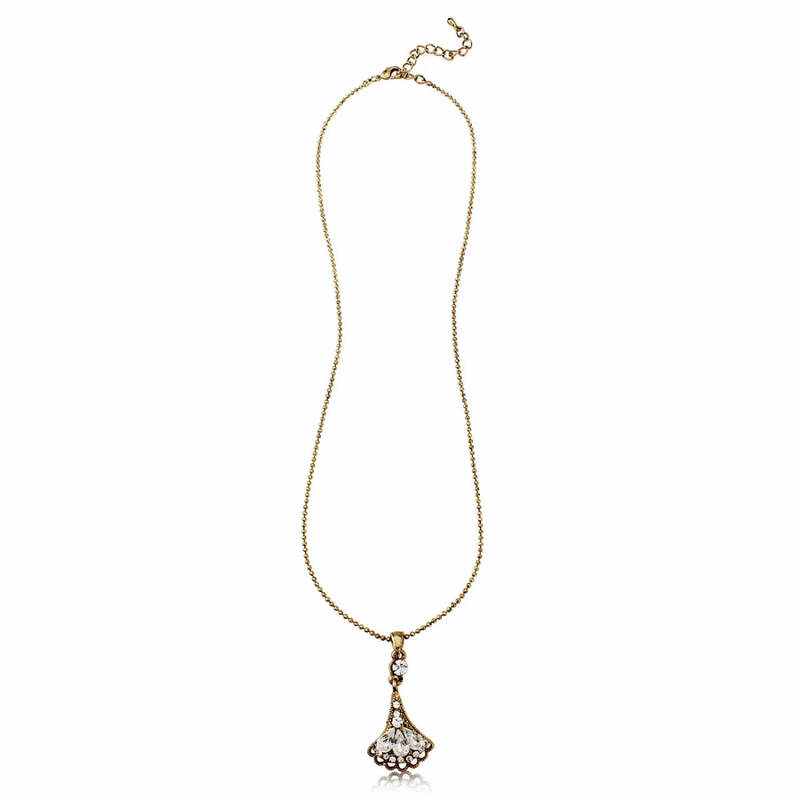 Oozing vintage pizzazz, our Glamour of Deco pendant and earrings feature sparkling clear Austrian crystal fans set on antique gold tone. With their chic style, this two piece is sure to become your go-to set for every special occasion. 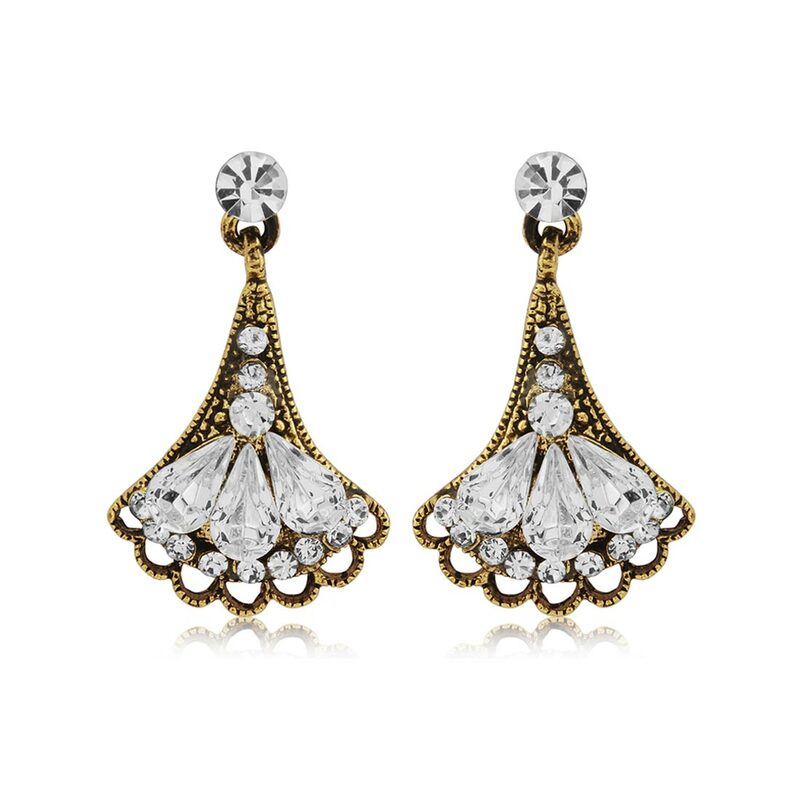 A fabulous gold wedding jewellery set for brides and bridesmaids who adore vintage glamour, this charming duo looks stunning with a bejewelled headpiece for a heirloom-worthy look that beautifully enhances a luxurious gilt theme. An exquisite gift for someone who adores the sheer elegance of Art Deco jewellery and versatile accessories that will take them from day to evening in effortless style.